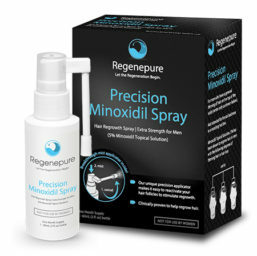 Can I swim after using RegenePure Precision? We don’t recommend swimming immediately following application of the formula, as this can wash away the formula and decrease its effectiveness. It is fine, however, to swim or get your hair wet hours after application.